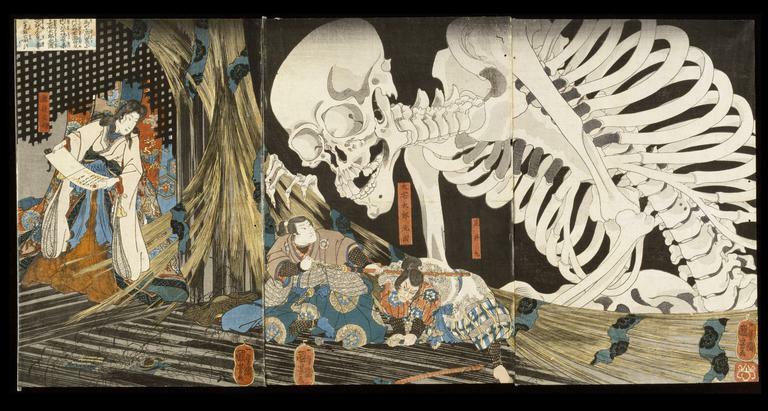 This striking image illustrates the story of princess Takiyasha, daughter of warload Taira Masakado who started a rebellion against the court in Kyoto. 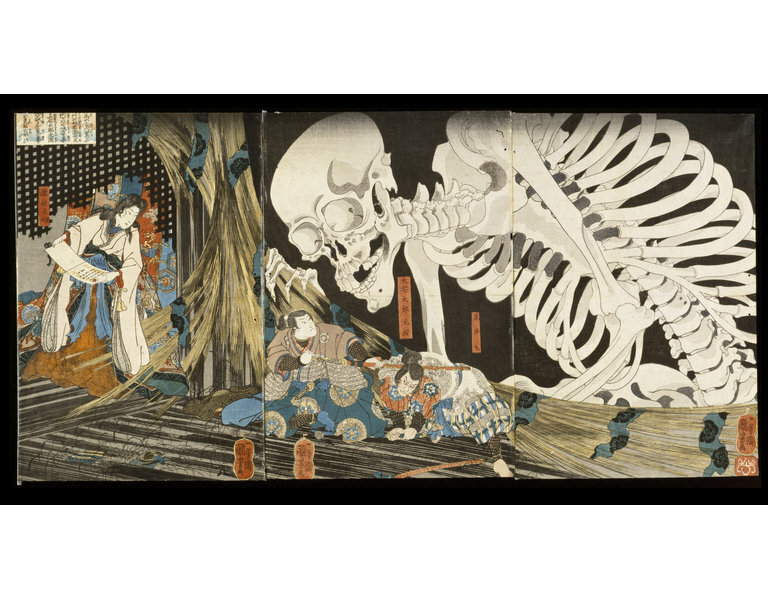 As the rebellion failed and Masakado subsequently killed, the ghosts of soldiers who had fallen during the rebellion haunted Masakado’s palace at Soma. 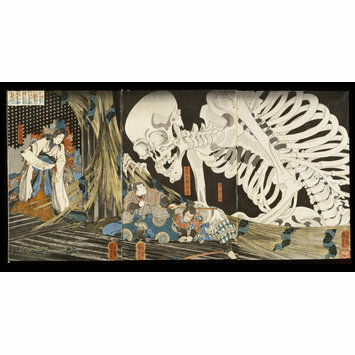 This print captures the moment when Princess Takiyasha summons these ghosts and turns them into an enormous skeleton whilst Oya Taro Mitsukuni, who is sent by the emperor to hunt down the remaining allies of Masakado, faces fearless with the skeleton and eventually defeats the plotters.